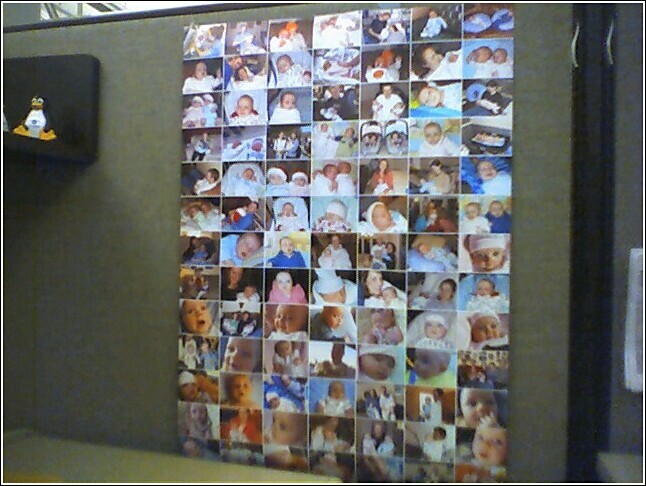 My cube at work is now wall-to-wall baby pics, as seen in the above crappy quality phone-cam picture. (That's one single poster-sized print in case you were wondering.) I now have almost half as many pictures of the kids in my cube as Michelle does!